When I go into Google Analytics, I can see the following about anyone who has clicked on that banner ad compared to other links I have for my eBook. I can go further by clicking on Goal Set 1 under Explorer to see how this banner converts into sales compared to other links to my eBook using a goal I have set up for my eBook sales. As you can see, you can customize your UTM parameters to tell you almost anything you want to know about the details of how people are getting to the most important parts of your website. This can give you an even better idea of what really works in terms of your online marketing. 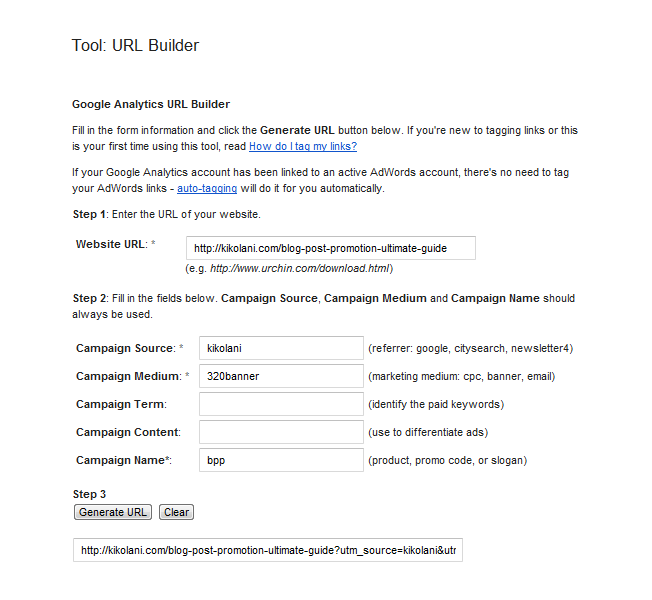 The simplest way to create UTM parameters for your links is by using the Google Analytics URL Builder. Using the above example, you would enter the following and click on the Generate URL button to get your link. This page also has some helpful hints on how you can use each of the different UTM parameters. Campaign Source (utm_source) – Required parameter to identify the source of your traffic such as: search engine, newsletter, or other referral. 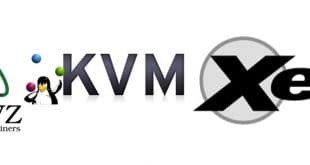 Campaign Medium (utm_medium) – Required parameter to identify the medium the link was used upon such as: email, CPC, or other method of sharing. Campaign Term (utm_term) – Optional parameter suggested for paid search to identify keywords for your ad. You can skip this for Google AdWords if you have connected your AdWords and Analytics accounts and use the auto-tagging feature instead. 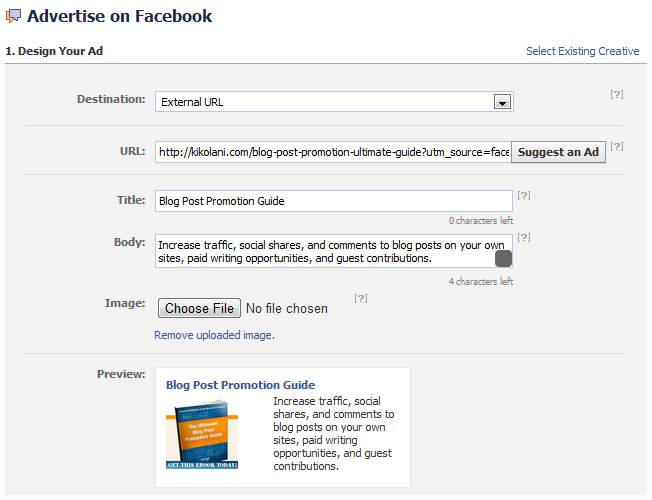 Campaign Content (utm_content) – Optional parameter for additional details for A/B testing and content-targeted ads. Campaign Name (utm_campaign) – Required parameter to identify a specific product promotion or strategic campaign such as a spring sale or other promotion. You can learn more about how to tag your links in Google Analytics Help. It also has a handy chart view with an example of one campaign with different sources & mediums. Note that UTM parameters are case sensitive, which means if you use abc for your utm_campaign tags on some links and ABC for your utm_campaign tags on other links, they will show up as separate campaigns in your Google Analytics. Also note that UTM parameters will be shown in the browser’s address bar, so be sure you’re not using any tags that you would want to remain unseen. 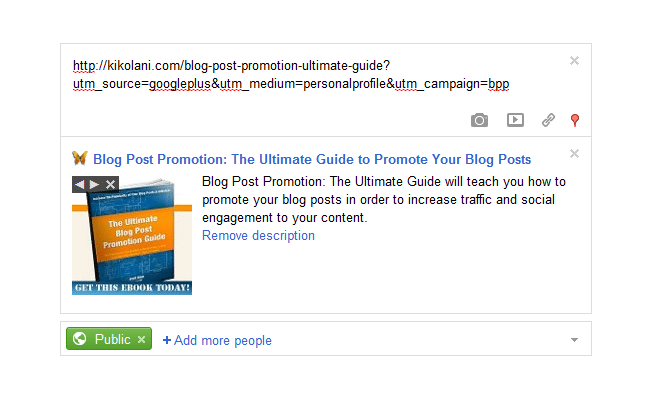 How you use your UTM parameters boils down to how you want to see your information displayed in Google Analytics. To view your campaigns in Google Analytics 5, you will go to your website profile and click on Traffic Sources > Sources > Campaigns. 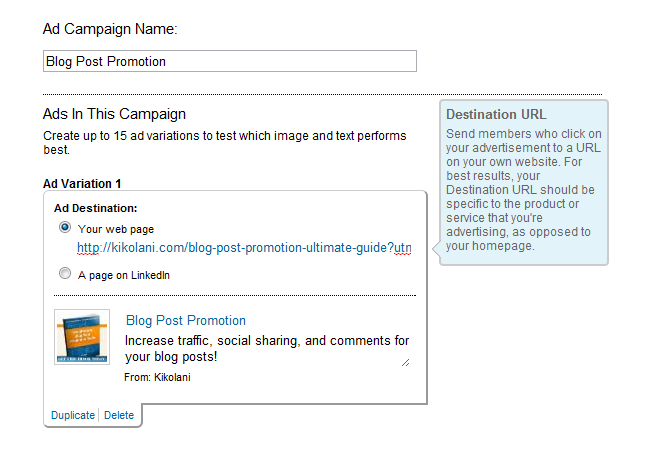 Here you will see an overview of your various campaigns as tagged using the utm_campaign UTM parameter on your links. As shown earlier, you can click on each campaign name to see additional details as tagged using the utm_source / utm_medium UTM parameters on your links. You can also select Ecommerce and AdSense if you have your website profile set up to measure these details. Visit these links to learn more about Ecommerce tracking and AdSense tracking for your website. Now that you know how UTM parameters work in terms of showing you specific data under your campaigns in Google Analytics, let’s look at some specific ways you could use UTM parameters to learn more about your traffic and how it will affect the way you share your links. Let’s say that you are promoting a specific product on different areas on your website. In my case, I promote my eBook through different sized banners and text links within my footer, in my author bio, and so forth. 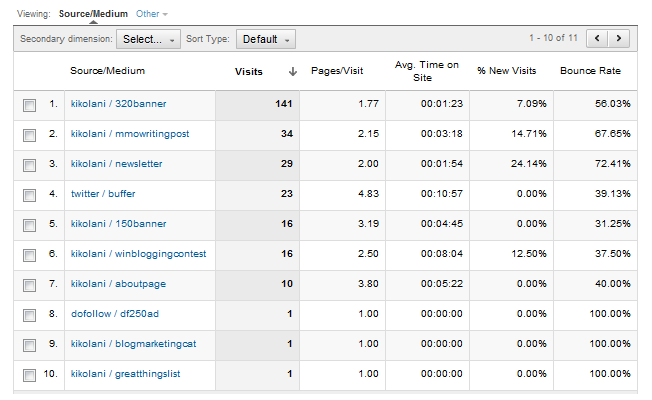 You can now track which link a visitor clicked by using the following breakdown. In this case, when you click on the details for your product campaign, you would see that one of your traffic sources is yoursite and the medium is a postfooter link. You can modify the utm_medium to include banner ads (bannerad), menu bar links (menulink), author bio (authorbio), sidebar link (sidebarlink), or any other area that you want to track specifically. UPDATE: Thanks to Justin Cutroni who, in the comments, let us know that this no longer works due to changes made to Google Analytics in August 2011. While it does track the campaigns as shown, it will count it as a new visit. 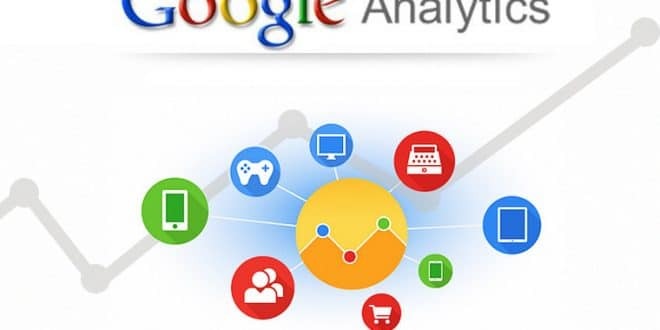 To learn more about this change to Google Analytics, you can visit this post by Search Engine Land on Google Analytics session updates. To learn better ways to track internal campaigns, refer to this post by Justin on tracking internal campaigns with Google Analytics. Seeing social media sites such as Twitter, Facebook, Google+, and so forth in your referral sources can encompass a wide variety of things. One thing you might want to distinguish is when a person has come to your site from a social media site via the link on your profile versus from links in status updates. 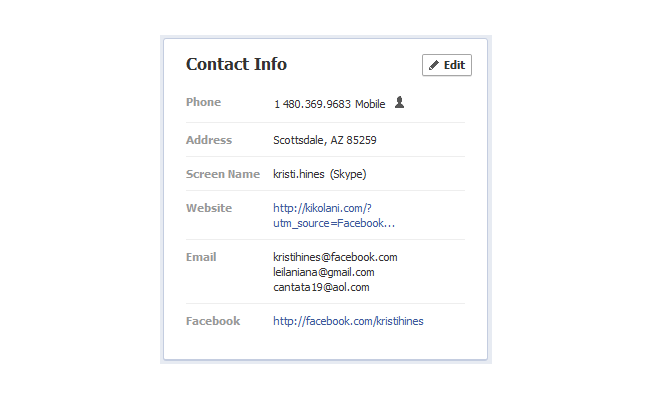 Since your profile link is likely to be your website or blog’s homepage, you could do the following. While this would give you details about how effective your Twitter profile link really is, one thing to note is that if you do this, your links will look like this on your profiles. Note how it is displayed on sites that display your full URL (Twitter & Facebook) vs. sites where you can have anchor text (Google+ & LinkedIn). Another interesting issue you might find when it comes to social media traffic is how powerful each of your profiles are when it comes to generating traffic to your website. 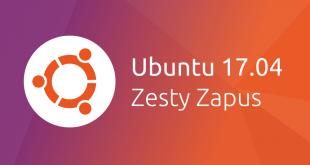 Some businesses might have one main company account plus employees who have their own accounts that share the same links in their updates, or maybe you simply have more than one account on various networks. Sure you can track this using Bit.ly or other shortening service analytics, but the goal here is to collect all of that data into Google Analytics so you can see it in one place and have it associated with your goal data. To see the difference in how different accounts perform, you could do the following. UTM parameters are usually cut off when displayed in a tweet on Twitter and do not seem to affect the way thumbnails and other details from a specific link will come up on or appear in Google+, LinkedIn, or Facebook updates. When it comes to email traffic, about all you can measure is whether visitors have come from online email providers such as Yahoo, Hotmail, and similar services. What you don’t know is why they came to your website from an email. If you incorporate an email signature into your messages, you can use UTM parameters for your links to designate email signatures in Google Analytics. 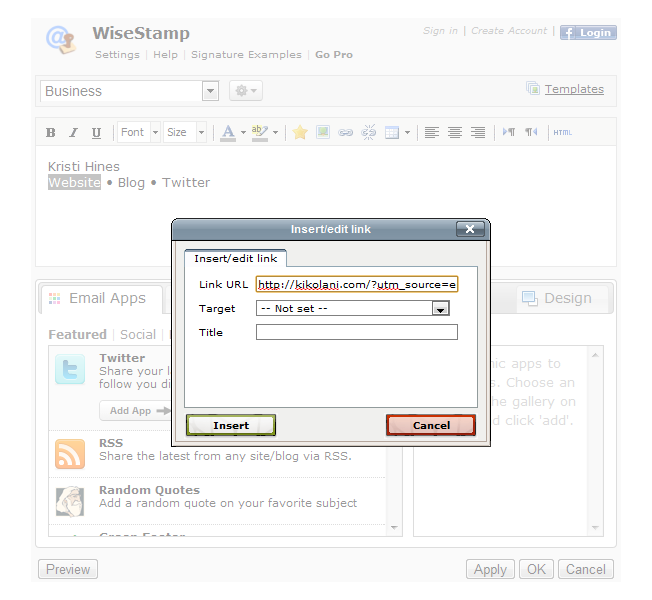 One easy way to create great email signatures is by using the free version ofWiseStamp. You can install it as an extension on your browser (Chrome, Firefox, and Safari) and it will embed signatures into emails from Gmail, Yahoo, AOL, and Hotmail. Keep in mind that, if you use anchor text in your email signature that the URL may still be stripped out for users who have HTML emails disabled or blocked for security purposes. The most guaranteed way to get a link through is by entering it as http://yourdomain.com/, and using UTM parameters with a URL like that will make it lengthy in the body of an email. Conversion specialists would point out that a long URL with UTM parameters would have less click-through rate compared to the shorter http://yourdomain.com/. If you do a lot of banner advertising, you will obviously be interested in their performance so you know which sites to renew advertising upon. But do you want to know, as a whole, which banners perform the best? To find out, use the following parameter in your ads. Just replace the 300banner with the specifics of your banner. You can designate tags for banner size, banner colors, or banner type depending on how you advertise. Then you can see which banner types have the best results. Another particular type of email tracking you will want to do is clicks from newsletter links. Similarly to how you might have different types of links (text vs. image) on a website, you might have a link to your latest promotion in your newsletter displayed in a variety of ways. Place the following parameters in links from your newsletter. Try different UTM parameters to find out whether links using product images, sales graphics, or text get the most clicks on your newsletter. This can be useful in helping implement a better design for newsletter conversions. One way websites generate a lot of traffic is through giving away freebies such as PDF reports. If you host these freebies on your website (or if someone else hosts it on theirs for online access), you can use UTM parameters to tell Google Analytics which reports are sending traffic back to your website. This will give you an idea which topics are best for your free reports or other content which could help lead visitors back to your products or services. 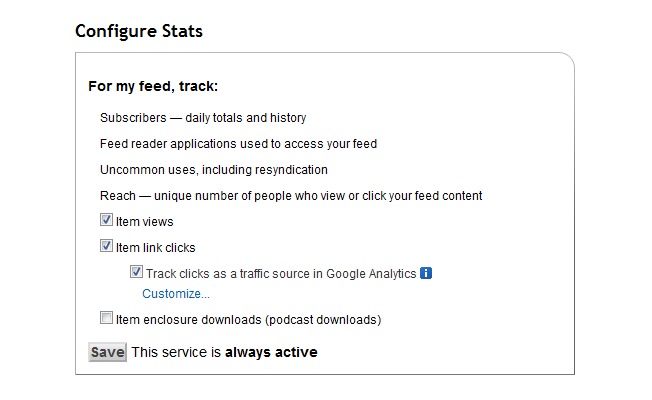 Want to see details about your RSS feed subscriber clicks in Google Analytics? Be sure to set up your RSS feed with Feedburner – it’s fast, free, and you can learn how by using these quickstart guides for Blogger, WordPress, TypePad, Myspace, and Podcasting. Be sure to share your new Feedburner URL on your website so people can subscribe via email and RSS to your latest posts. 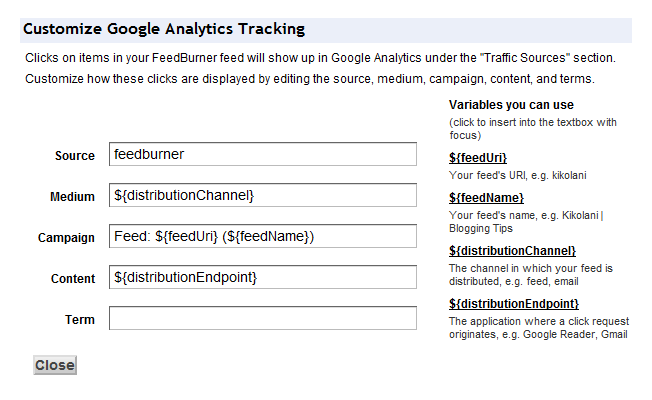 To configure your Feedburner feed with Google Analytics, go to the Analyze tab and, under Services, click on Configure Stats. Feedburner has already configured the UTM parameters for you, but you can customize them if you wish to see different tags in your analytics. If you do advertising on social networks like Facebook or LinkedIn, you may want to use UTM parameters to separate your ad traffic from those social networks. 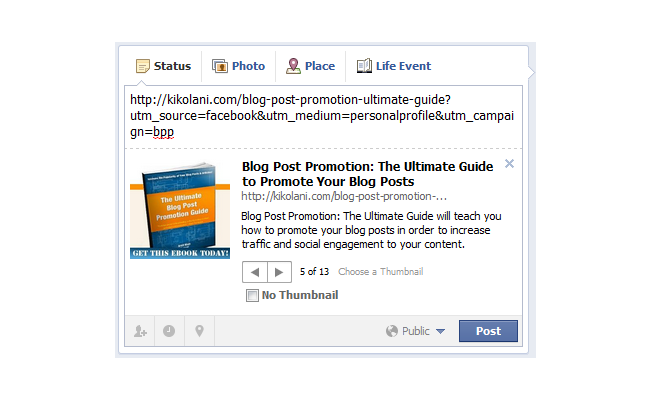 Simply enter UTM parameters as a part of your URL during the ad creation. It will not affect how your link is displayed on either network as both mask the links for internal tracking purposes. 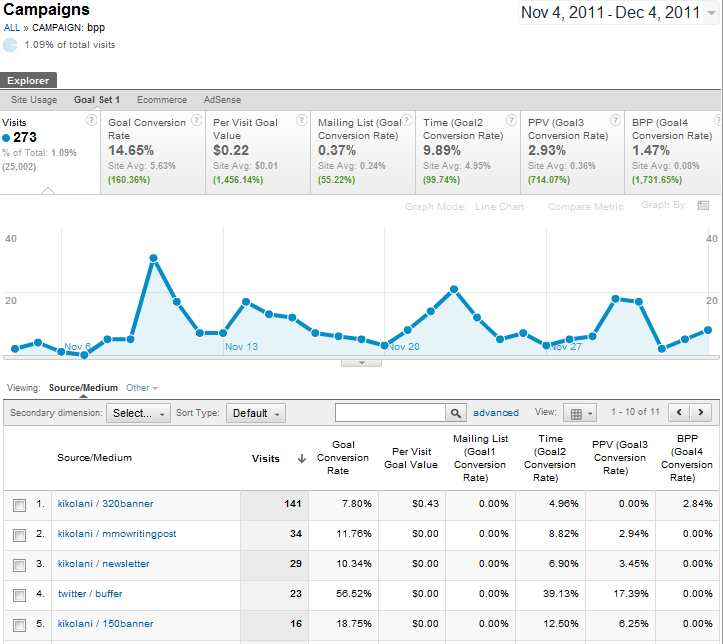 Run More Effective Marketing Campaigns!Track your marketing campaigns more effectively with Kissmetrics. 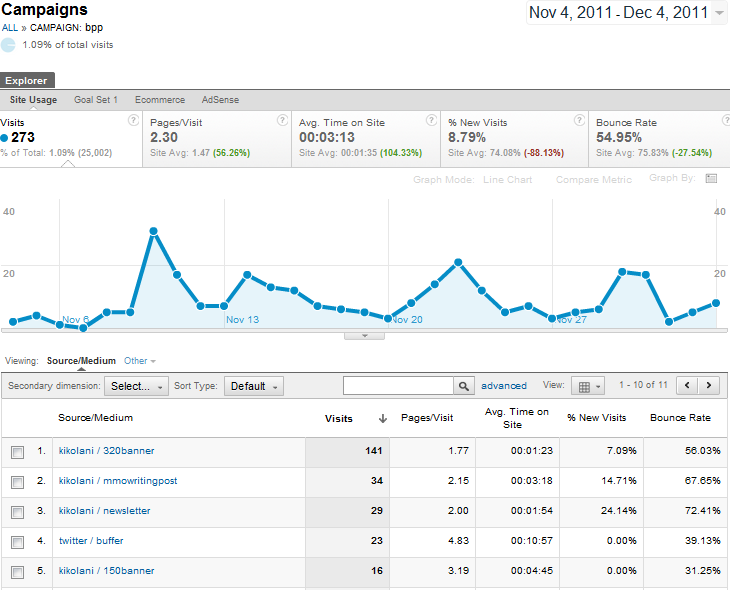 Run a Kissmetrics report and segment your data by any UTM parameter. See which campaigns drive the most conversions, give you the most valuable customers, and where your marketing dollars are best spent. 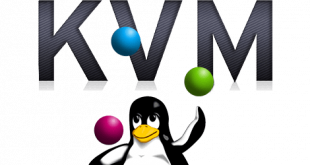 Our revolutionary software suite is used by top online marketers throughout the world. Sign up for Kissmetrics today! This one applies to those who submit their sites to directories and want value beyond just link building for rankings. If you’ve submitted your website to directories before, you know that there are various options, such as regular listings, featured listings, deep links, and so forth. You can use your traffic referral sources (and Advanced Segments) to see traffic from particular directories, but if you want to know what kind of listings, as a whole, lead to the most traffic, then utilize UTM parameters. This will help you learn ultimately if you are getting better results with a particular type of listing, or if you are just spending too much for too little traffic as featured listings usually cost twice as much as regular listings. As you can see, there are many, many ways to apply UTM parameters to measure specific traffic in Google Analytics. Now it is your turn. Do you use UTM parameters and how do you use them?